At GlobeIn we firmly believe in the principle that fair trade is an approach to business and to development based on dialogue, transparency, and respect. 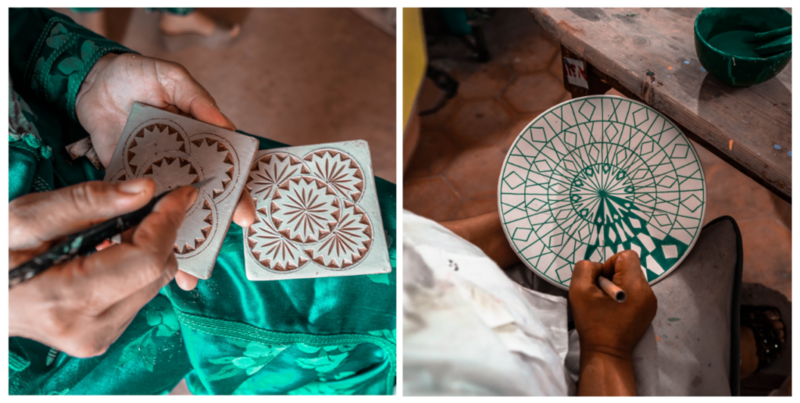 Our mission is to provide stable income and job opportunities to our artisans around the world, bringing their craft of the rest to the global market. As awareness of fair trade grows, so do misconceptions. Here are some popular myths about fair trade that our community has encountered, and the realities behind them. 1) Myth: Fair trade is about paying developed world wages in the developing world. Reality: At GlobeIn, our artisan’s wages are designed to provide fair compensation based on the true cost of production, and are not based on North American wage standards. The amount of time, skill, and effort involved in the production process. 2) Myth: Fair trade siphons off American jobs to other countries. Reality: Fair trade seeks to improve the lives of the poorest of the poor who frequently lack alternative sources of income. Most fair trade craft products stem from cultures and traditions which are not represented in North American production. Most fair trade food products do not have North American-based alternatives. Also, as our company grows as a successful small business, so does our team! 3) Myth: Fair trade is a form of charity. Reality: Fair trade promotes positive and long-term change through trade-based relationships which build self-sufficiency. Its success depends on the independence of these artisan groups–not on handouts. While we as an organization support charitable projects in addition to our work in trade, the exchange of goods remains the key element of our function. 4) Myth: Fair trade results in more expensive goods for the consumer. Reality: Our products are competitively priced in relation to their conventional counterparts. GlobeIn works directly with artisans, cutting out the middlemen, so we can keep products affordable for consumers and return a greater percentage of the price to our artisans. That being said, we curate thousands of items every year for our subscribers, all from different countries. The percentage we pay per project is not the same across the board. 5) Myth: Fair Trade results in low-quality products for the consumer. Reality: Due to the handmade nature of our products, variations are bound to occur. At GlobeIn we continuously work to improve quality and consistency, offering your feedback and concerns. Our direct and long-term relationships with our artisans allow for constructive dialogue regarding consumer needs and what can be done to create high-quality products, that our subscribers want. *This blog has been adapted from the Fair Trade Federation. Next Post February Artisan Fund: Announced!